Published on Thursday, 27th October 2016. Cirque du Soleil is the world’s largest theatrical producer, famous for its Circus troupe telling spectacular stories through acrobatics, live music, and colourful scenes and costumes. Cirque relies on an internal, site-wide internet connection to access their intranet and technical documentation, run their box office POS, keep on top of the team’s emails, and communicate with headquarters in Montreal, Canada. Since the show was located in a big top on a piece of open land, there was no existing internet infrastructure for the troupe to connect to.The company needed to get a reliable internet connection as soon as possible while they prepared the site before starting to rehearse for the show. 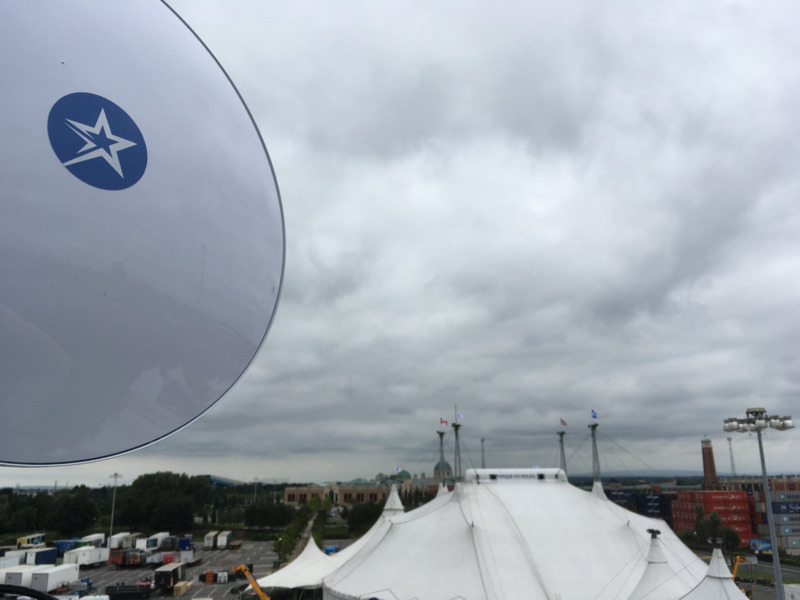 Event Support UK, the live event company working alongside Cirque du Soleil, selected Telcom for our reliability and speed of installation: within a week from our first call, our engineer team mounted a 25-metre mobile mast able to receive ultrafast internet and distribute it around the show’s perimeter. Our team brought our own infrastructure to the site, connecting the land to ultrafast internet via our hybrid fibre-wireless network. Site-wide internet became available during the weeks of preparation, and throughout the 5 weeks Amaluna was showing live in Manchester. Thanks to the connection, the troupe and staff was able to stay connected to HQ in Canada, access the shared database, and run their box office. We look forward to Cirque coming back next time! Our high-speed temporary internet is ideal for short-term applications such as events, festivals, pop-up shops. We connect indoor and outdoor events to ultrafast broadband that integrates with your infrastructure and makes your event even more engaging. Organising an event? Get in touch with our team - we'd love to help!